This looks fabulous. 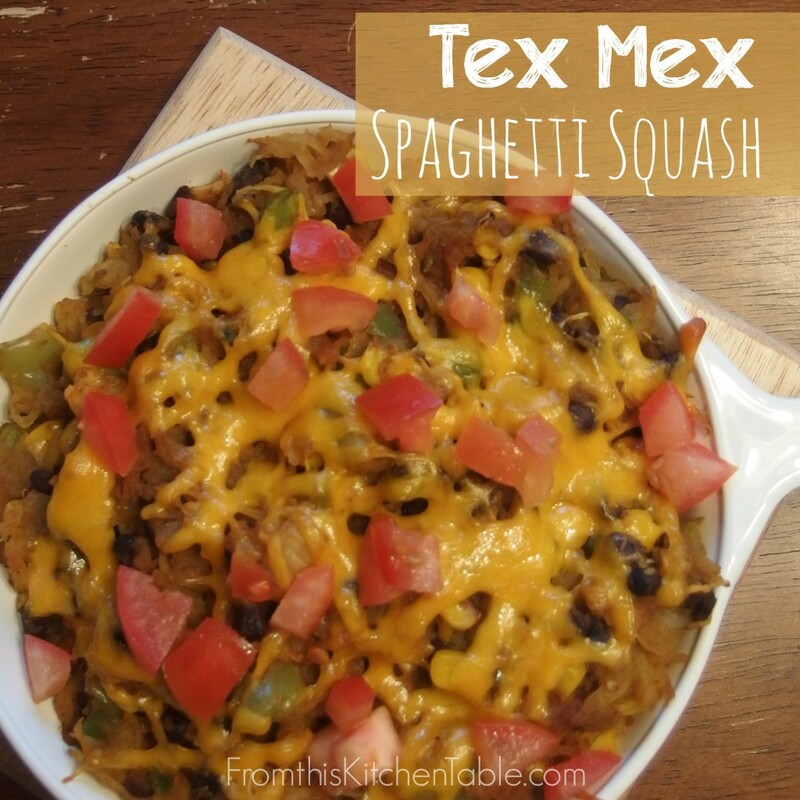 I love Tex Mex flavors but never thought to pair them with spaghetti squash. I’ll be trying this one soon. I love these flavors with the spaghetti squash! It’s good for none squash lovers as well since the flavors are stronger. I really like this one. Thanks for hosting! Thank you so much for this recipe! I’m always trying to get people to try spaghetti squash and this looks like the way to go. Yes, it’s a great first spaghetti squash recipe because it has so many flavors that people love! Sometimes the squash is overpowering. I love it! Thanks for stopping by! That looks yummy, especially for this Texan that could eat Mexican every day. It my favorite spaghetti squash recipe yet! And I’m with you, I love Mexican food. Have a great weekend. I LOVE all types of squash and I LOVE finding new recipes to use the squash in. Thank you for sharing this! Thanks for stopping by and commenting! I love this recipe. Super flavorful and yummy! It’s a really tasty recipe! My favorite for spaghetti squash by far. Thanks for stopping by to check out the recipe and sharing about your link party. I’ll have to check it out! I love using spaghetti squash but never thought of using it for my taco salad. Such a great idea! Thanks. Thanks for stopping by! 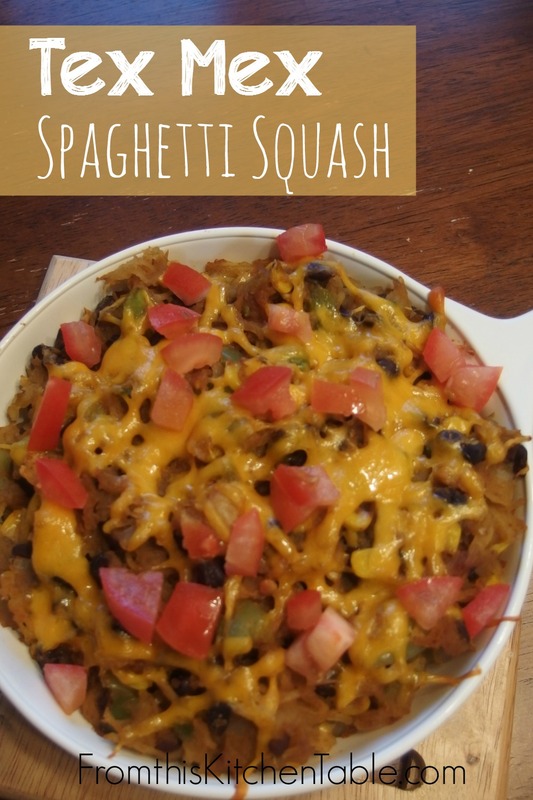 We love this baked tex mex spaghetti squash – my favorite recipe for it by far! Yum! Visiting from Inspired Me Mondays. Thanks for stopping by, hosting, and sharing! This is my favorite spaghetti squash recipe yet. 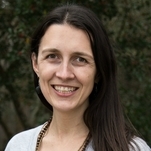 Hey love, thanks for partying with me this week at Live Randomly Simple! So many great content this week! Hope you make it back this week! Party starts 10pm Monday night and runs through Saturday!! Cant wait to see what new goodies you have for us! I have been wanting to try squash for spaghetti noodles for so long. I am kinda scared though lol. Silly, right!? I HAVE to try this because it looks AMAZING! I am going to do it..finally..YAY! Thanks for hosting! Spaghetti squash has been one of these things on my want to try list for years. The Whole30 we just did finally got me around to it. This is definitely my favorite recipe! oops lol…I love how much healthier it is over noodles so I think it would def. be a great thing to add to a menu! Pingback: Healthy Dinner Recipes - It's me, debcb! Had hamburger already thawing. Subbed for the chicken. My husband loved the flavors. Anxious to try with chicken. We put a dollop of sour cream on it; we generally use it with SW dishes. 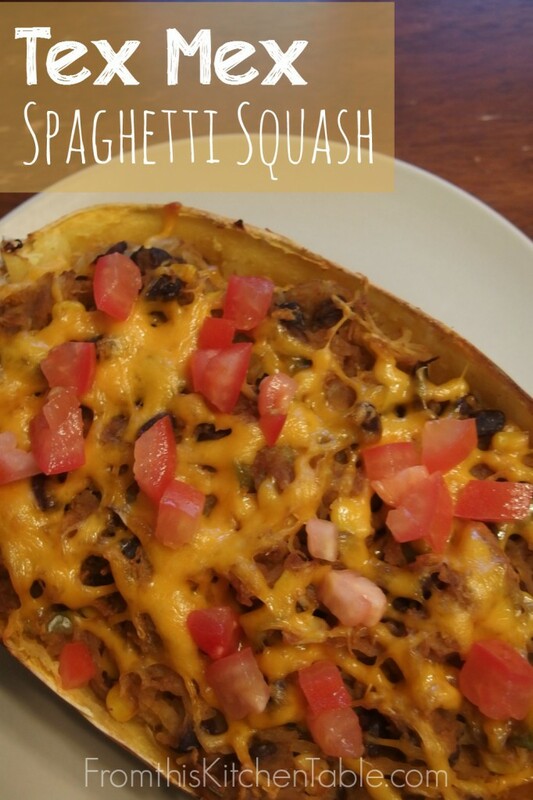 We love spaghetti squash so I will be making this frequently. I would not hesitate to serve guests. Thank You!!! Yay!!! So glad to hear that you enjoyed it. I love this dish. I bet the beef was excellent. 🙂 Thanks for commenting.